Gaia Wallpapers now offers new wallpaper formats for mobile devices. 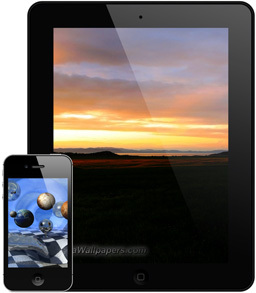 You can download wallpapers in native resolution for iPhone and iPod touch and iPad. The images also support the Retina displays. They are created with the highest quality. There are over 1100 wallpapers ready to be downloaded for free.